I'm going through a phase where I've been just eating ciabatta with bocconcini, tomatoes and mushrooms for lunch everyday. It's delicious and doesn't take much time to prepare. I like using ciabatta bread, which I sliced thinly so that it crisps up in the oven. So, I placed a little butter on the bread and drizzled with some extra virgin olive oil (EVOO), and popped them in the oven under a hot grill at 200°C for about a minute or so. 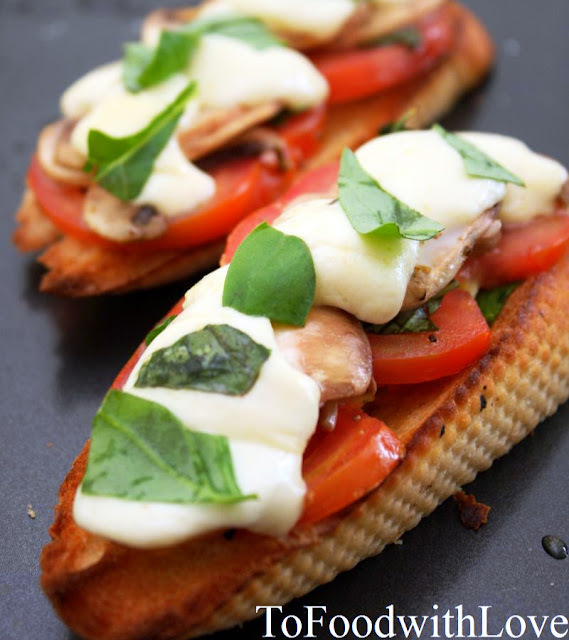 Then I drizzled a little balsamic vinegar, placed some thinly sliced bocconcini, followed by tomatoes and mushrooms (which I had already seasoned with salt and pepper and tossed in EVOO together with parsley and basil) on the bread and topped it with some more bocconcini. Grill in oven for about 5 minutes until the cheese has melted. Remove and drizzle with some EVOO and serve! 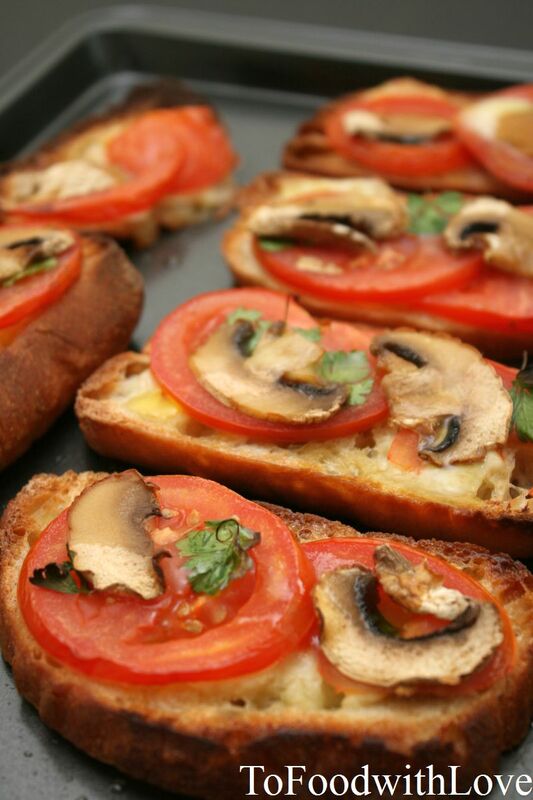 Crunchy and full of flavour, especially the zingy balsamic vinegar! Yum!